Art is a wonderful way to help build and strengthen our communities. It helps to engage, inspire, and encourage us to reach out and connect with each other, express our creative voice and create shared experiences while working together toward meaningful outcomes. 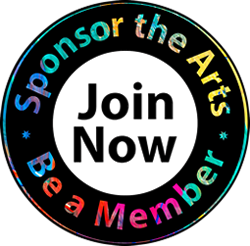 It’s no coincidence the South Cobb Arts Alliance’s mission begins with to build our community and ends with to engage the community in the recognition and support of the area’s cultural arts and historic preservation. As the community grew, so did SCAA’s commitment to all of you, our members, our artists, our educators and our volunteers. As SCAA plans towards its 50th year, we hope you will join us to inspire the community with events and more activities. • Workshops on the art of business, how to exhibit artwork, techniques on painting, photography, and crafts. • Holiday Shopping with your favorite Artists and Crafters. We salute our community with events designed to welcome and promote community engagement. We salute SCAA volunteers who support and work to reconnect artists, art educators, families, businesses, and other members of the community in the focus on the arts. In the end, events do not alone define a community. The community and volunteers make the events special. As an all volunteer organization, SCAA’s volunteers are how events are planned and accomplished…because our volunteers are the heart of the organization. Since 1972, South Cobb Arts Alliance has presented our community with hallmark events celebrating the Arts, opening doors to engage the community in recognition and support of Arts. For those of you who have been familiar with us (for almost 50 years), you know that the best way to get the most detailed and up to date SCAA information is by visiting our website or to LIKE us on Facebook, or Instagram to know what is happening in the SCAA Community. We have been busily working behind the scenes to develop ways to communicate all of our outreach activities and opportunities to you, our artists, our art educators and students, and the community as a whole. In 2016, SCAA was awarded a National Endowment of the Arts grant, and the organization returned to its roots, i.e., community outreach, engagement with local school art programs, conducting artist exhibits and juried arts events, having students perform at events, and contributing in a variety of ways to art educators and community programs. Through SCAA’s upcoming plans, we hope to not only entertain and inform, but also to connect you with our artistic journey regarding new locations for SCAA workshops, classes and favorite events. Additionally, SCAA will soon announce new locations for the 32nd National Juried Exhibit, the 35th annual Christmas Holiday Arts and Crafts Show, a Gala event, and Live Performances. Arts are the heart of the South Cobb Arts Alliance. Help empower our Community Outreach vision by moving forward to listen, create, and inspire by engaging every person, one event at a time.